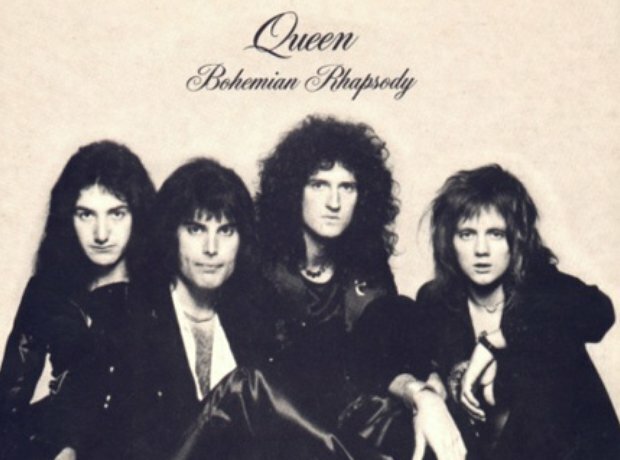 What would Queen's 1975 hit Bohemian Rhapsody sound like as a classical music playlist? Enjoy a real life Night at the Opera as we take inspiration from Freddie Mercury's lyrics, matching them up with the best classical pieces. 1. Is this the real life? Is this just fantasy? It certainly feels like fantasy when you're listening to Schumann's Fantasy Pieces for clarinet and piano, Op. 73. Turns out Mendelssohn urged us to do just that in his oratorio, Elijah, in a movement titled Lift Thine Eyes, 129 years before the release of Bohemian Rhapsody. If, however, you do fancy a little sympathy, may we recommend Haydn's delightful song, Sympathy, for voice and piano? Wind, you say? How about a blast of Stravinsky's Symphonies of Wind Instruments, composed in 1920. It doesn't get any closer to the beginning of all life on earth than Haydn's spectacular oratorio, The Creation. So said the performers in Haydn's 'Farewell' Symphony, as the music instructs them to walk off stage once they've finished playing. So did Czech composer Dvořák, when he composed his Silhouettes, Op. 8. 9. Scaramouche, scaramouche, will you do the fandango? Yes, yes he will, if you play him Boccherini's Fandango from Quintet No. 4 in D.
Allow Strauss' Thunder and Lightening polka to allay your fears with its cheery string tunes and percussion. Don't you mean Galileo Galilei, Philip Glass' 2002 opera? 12. Bismillah! No! We will not let you go! Let him go! If you're looking for an angry multi-voiced debate of Biblical proportions, it doesn't come much more exciting and terrifying than Bach's St John Passion, as Pontius Pilate and the crowd decide whether to let Jesus go or crucify him. Figaros crop up quite a lot in the world of opera: Have a listen to Rossini's The Barber of Seville, or Mozart's The Marriage of Figaro. If you're a violinist, Baroque composer Tartini also has a devil put aside for you, in the form of the fiendishly difficult Devil's Trill Sonata. There's only one appropriate soundtrack if this is how you're feeling: Elmer Bernstein's The Great Escape. ...as long as it's in a south-facing direction. Traditional tune Blow the wind Southerly is certainly worth a listen.